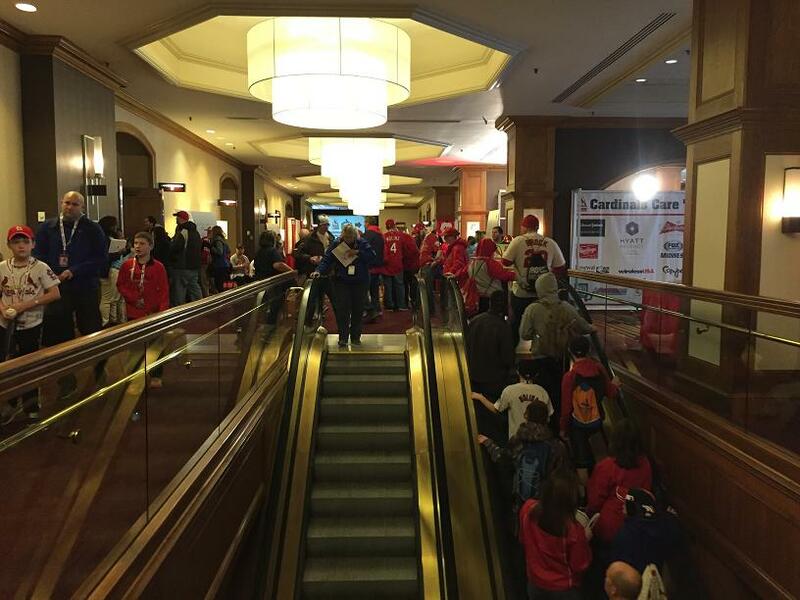 This weekend, in downtown St. Louis at the Hyatt Regency hotel, the 20th annual Cardinals Winter Warmup is taking place. The premier charity event for the organization, the Warmup has invested more than $21M in the local community, helping children and non-profit organizations, and building almost two dozen baseball fields in the area, including Missouri and Illinois in the process. Fans file in as the doors open on day 2 (Sunday) of the warmup. From autograph sessions to vendor tables selling almost every imaginable bit of memorabilia, food & drink to silent auctions, from kids games to audience participation Q & A sessions with Mo, the Winter Warmup is a great time for any Cardinals fan. I haven’t attended all of them, but I did attend the first several, and have made more than I’ve missed–it seems to get better each year. 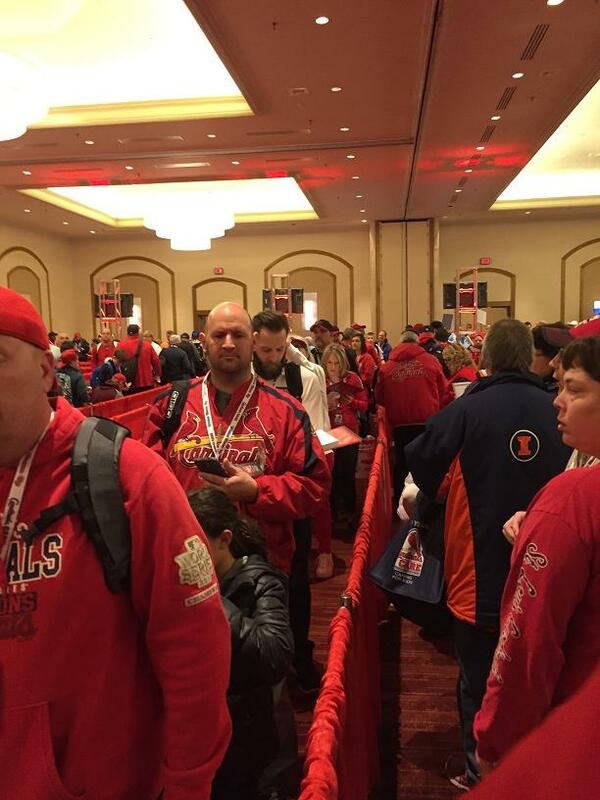 Young or old, there’s something for every fan at the #CardsWarmup. I encountered one young fan today, and spent just a moment chatting with him. Jonah, age 5, was taking in the atmosphere from the perspective of a kindergartner. Though, when I asked him if this was his first time at the event, I was met with a proud and emphatic “nope!”. In one hand, Jonah held a Cardinals pennant, and on his head (and covering both ears) was a child-sized Sunday cap, with the navy bill and the bird on the bat. He said he loves the Cardinals, and especially Yadi Molina. The highlight of the day for Jonah (or at least the thing he was most excited about), was having gotten to meet Stephen Piscotty, and get his autograph. Next Post: The Cardinals, Korea, and an new setup man.